The Matsigenka people of the Peruvian Amazon hunt with surefooted agility. They can scale a tree without low branches in seconds and cross a ravine on a narrow log without hesitation. 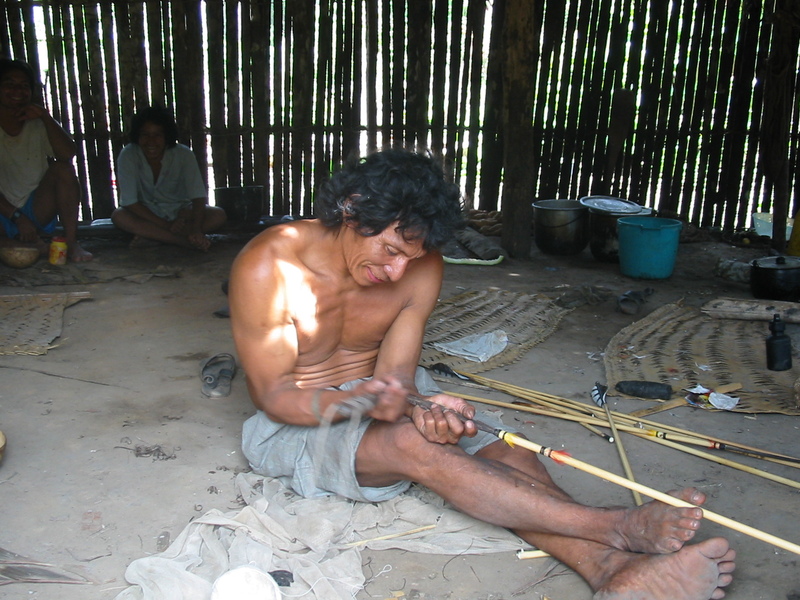 A Matsigenka man makes barbed arrows designed for killing large game birds. He has ornamented the arrows with toucan feathers, and the fetching (the feathers that guide the arrow) is made from the feathers of a raptor. They didn’t think Taal Levi was up to the challenge. It takes skill and stealth to hunt monkeys, among other animals, with a bow and arrow. And then there are the herds of wild pigs, aka peccaries, which are known to use their tusks to attack anything that threatens them. So in 2004, when Levi asked to join a Matsigenka hunting party, the hunters were reluctant. He grew up in Los Angeles and had just completed a bachelor’s double degree at UC Berkeley in physics and biology. As a field technician on a crew from the University of East Anglia, he was studying the impact of hunting on the animals that the Matsigenka depend on for survival. Despite the hunters’ fears, they let Levi join monkey and peccary hunts near their settlement in Manu National Park in the Amazonian rainforest. 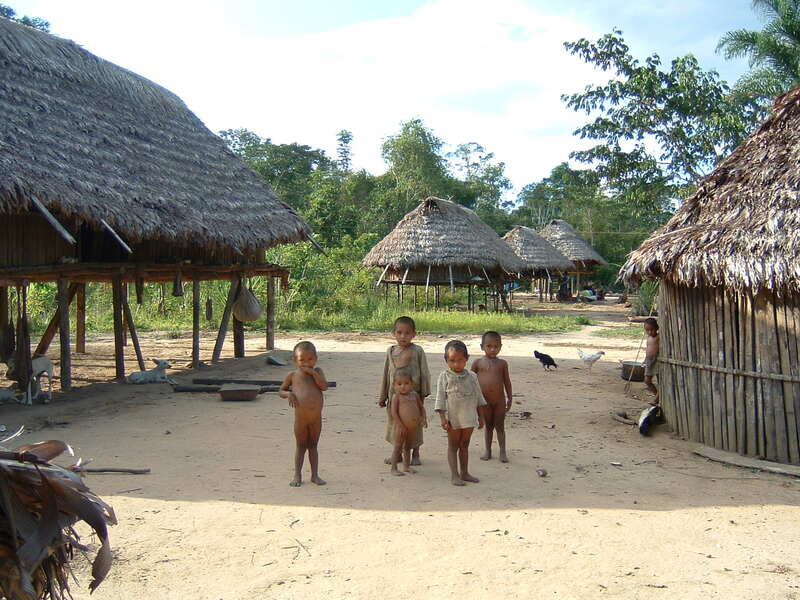 The Matsigenka people of the Peruvian Amazon lived in relative isolation from Western influences until the 1960s. In 2004, OSU ecologist Taal Levi lived with the Matsigenka and studied their hunting practices. The results of the study helped to settle the argument, at least for the time being. Publishing in Conservation Biology in 2007, the researchers showed that traditional bow-and-arrow hunting had not significantly depleted woolly and spider monkey populations. Two years later, in a follow up study in the Journal of Applied Ecology, Levi and his colleagues used mathematical models to apply the same data to a future scenario. Under current conditions, the scientists projected that hunters would not appreciably reduce spider monkey populations over the next 50 years, even if the human population were to grow and spread out. Manu National Park covers more than 6,600 square miles in southeast Peru. These studies helped to shift the discussion. Hunting with bows and arrows was no longer seen as incompatible with conservation. Officials permitted organizations to bring clean-water systems and other improvements to indigenous villages in Manu. Just as Levi’s research laid the foundation for a new relationship with native people, it helped launch his scientific career. Today, he is a wildlife ecologist and assistant professor in Oregon State University’s Department of Fisheries and Wildlife. 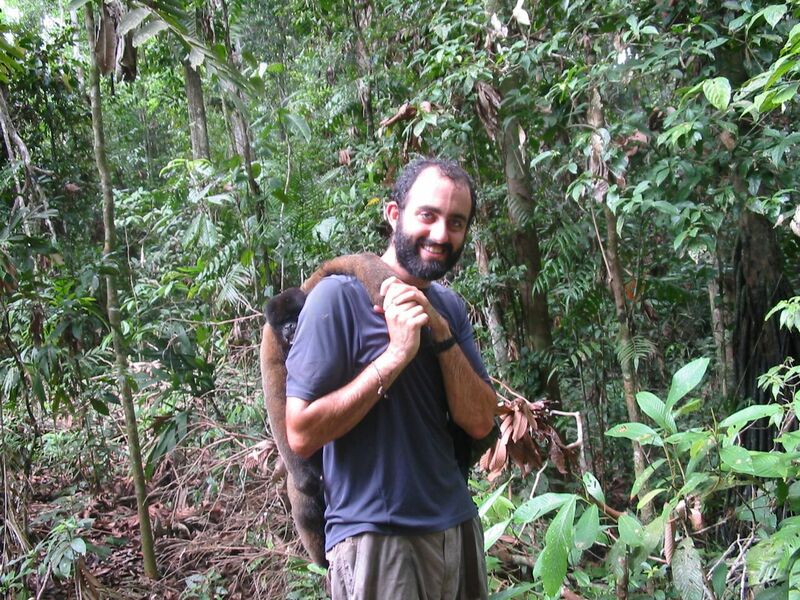 He uses mathematical modeling to explore questions about how humans and wildlife can coexist. The issues are cultural and biological, relevant to people everywhere who hunt and fish to survive. The topics in the Amazon would be familiar to hunting and fishing communities across the West: the ability of local people to maintain their livelihood, the conservation of animal species, the relationship between science and traditional knowledge. forests. They are often one of the most important wild meat items for humans. Levi hopes his contributions will allow community-based programs and science-led conservation to inform decisions about managing natural resources for the benefit of nature and people. Hunting is not his only interest. For him, the relationship between humans and wild animals turns in many directions: the spread of Lyme disease, low carnivore abundance in North America, sustainable salmon practices in Alaska and the impact of disease-carrying insects on human health in South America. This future wasn’t apparent to Levi during his youth. His parents didn’t go to college, but his curiosity and love for solving puzzles guided his choice to study physics. During summer breaks, helped by his ability to speak Spanish, he traveled in Central and South America, volunteering with indigenous rights nonprofit groups and studying tropical ecology. The 2004 study was motivated by an assertion from one of the world’s leading tropical ecologists, John Terborgh. In his 1999 book, Requiem for Nature, the member of the National Academy of Sciences argued that hunting should be banned in national parks. Terborgh first went to Manu in 1973 and helped run the Cocha Cashu Biological Station there for about 30 years. Reflecting on the mission of parks in the United States, he also wrote that people should not live in parks. Expanding human populations, he said, would threaten the purposes for which parks were established. In response, Levi collaborated with ethnobotanist and anthropologist Glenn Shepard from the Goeldi Museum in Brazil and with tropical ecologists Douglas W. Yu and Carlos A. Peres, both at the University of East Anglia. They wanted to determine if Terborgh’s assertions were justified. Terborgh questioned the right of the Matsigenka — whose population in the park has about quadrupled since Terborgh first went to Manu — and other indigenous people to live, hunt and farm on parklands. woven by men using rope made from the bark of a cecropia tree. His bracelet was a present made by cutting a ribbon of skin from an iguana. The scientists focused on bow-and-arrow hunting of some of the most harvest-sensitive species, the large primates. As part of the project, Levi’s job was to teach the Matsigenka hunters to record their activities in detail: what animals they killed, how much the animals weighed, the animals’ gender and reproductive status. During post-hunt interviews, Levi gathered as much information as possible to learn where and how bow hunting happens: How far from the house did they go? What time of day? Which weapon was used? What animals did they see, pursue, shoot, hit and retrieve? For Levi, it was a realization that integrated the mathematical modeling he had learned in physics with his biology background. By combining both fields, he envisioned becoming a quantitative ecologist, a scientist who uses math and statistics to interpret ecological data. He became excited by the notion that he could use a mathematical model like a surgeon’s scalpel to dissect relationships between humans and wildlife. Models could answer deep questions about the impact of future human population growth in Manu and elsewhere. Levi’s path led to graduate school at UC Santa Cruz where he created models to project hunting impacts into the future and over large areas. His work enables wildlife managers and scientists to estimate hunting’s impact through a network of factors such as the number of hunters, wildlife population sizes, distances from settlements, types of weapons used and time into the future. Levi hopes these and other models can continue to help inform policy and create strategies to get ahead of problems. He’s turned the models into a Windows-based software package for scientists and nonprofit organizations and is working on an app for smart phones. When there is no government-enforced wildlife management, indigenous communities could use it to create their own hunting regulations. With Levi’s models, local communities can project the likely impact of hunting over a given area to determine how much land to designate as reserves and where to put them. The approach has drawn the interest of conservation groups such as the International Union for the Conservation of Nature. Outside of national parks, says the IUCN, sustainable-use tropical forest reserves “conserve ecosystems and habitat, together with cultural values and traditional natural resource management.” The hope is that industrial development can be kept out of such areas. Otherwise, forests could be lost to oil and gas drilling, mining, ranching and agriculture. After their work in Peru, Levi and Peres continued to collaborate on other aspects of tropical ecology. In 2013, they showed that large primates play a uniquely important role in dispersing seeds and maintaining the composition of tropical forests. In 2016, Peres asked Levi to collaborate on another project, this time in Brazil’s western Amazon basin. As Peres and co-author João Vitor Campos-Silva reported in the journal Nature Scientific Reports, communities had been overharvesting arapaima fish. The fishery had collapsed, and, after communities agreed to a management plan — counting fish and harvesting no more than 20 percent — fish populations rebounded dramatically. Levi is using data from Peres and others to create models to help the locals set sustainable harvest limits. As with the Matsigenka, the goal is both biodiversity and food security. True to form, Levi is learning Portuguese. Levi doesn’t view the Amazon as a novel laboratory. 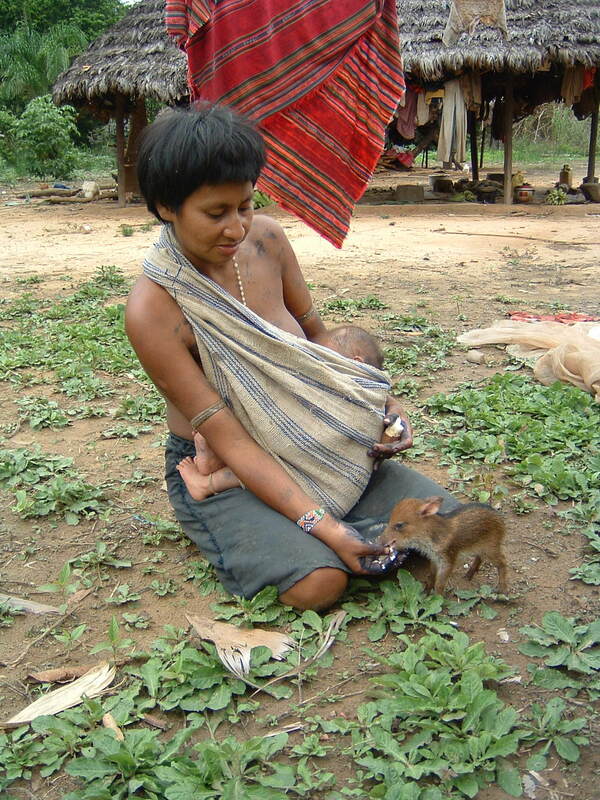 Rather, he cares deeply for its biodiversity and indigenous peoples. He values how nature’s many attributes intertwine with human cultures. He brings an unpretentious confidence to the task of figuring out how the pieces fit together. This propels him to collaborate, to challenge conventional theories and study ecology through the lens of human well-being. In his view, it will take science-based wildlife management to balance that well-being with nature. “Many conservation biologists have a mentality of preservation but not of management,” he says. “I think that mentality of preservation is going to be very ineffective because so much of the land is occupied by people, and it’s always going to be occupied. leaves and insects. 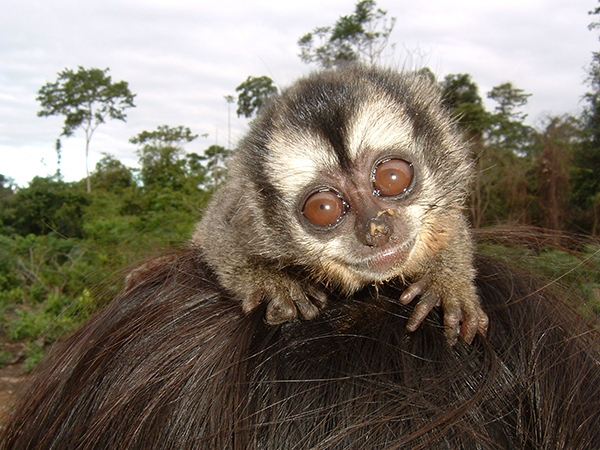 Other species of night monkeys live throughout the neotropical forests of southern Central America and tropical South America. Editor’s note: Danielle Jarkowsky is the internship coordinator for the Department of Fisheries and Wildlife.